Speaking activity. Students interview each other. This downloadable teaching material is a great resource for business/professional students, high school students and adults at Pre-intermediate (A2) level. 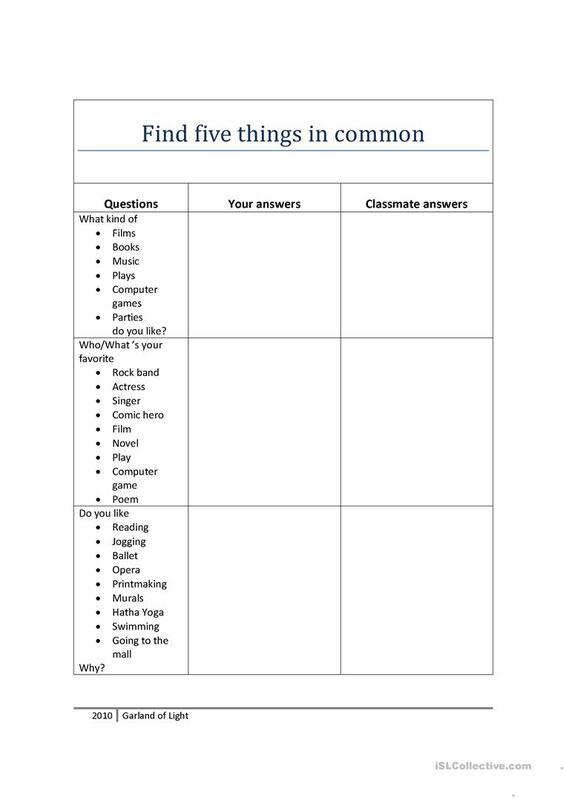 It is a useful material for consolidating Questions in English, and can be used for enhancing your class' Speaking skills. It is about the topic and words of Hobbies. mariagelia is from/lives in Mexico and has been a member of iSLCollective since 2010-09-10 18:03:13. mariagelia last logged in on 2014-01-23 22:58:27, and has shared 1 resources on iSLCollective so far.